An OTG is a small oven that can be used to bake cakes, roast meats and vegetables, bake pizzas, pies, toast breads and open sandwiches. They also come in handy for reheating small quantities of food. They are fairly simple to operate and maintain. Now a day's OTG's in India are available in sizes ranging from 7 - 60 liters. An ideal size would be between 30 - 50 liters as they allow you the flexibility of placing 2 trays simultaneously while cooking. The oven exteriors or outer cavity are either made of stainless steel or powder coated metal making them anti rust / rust proof. 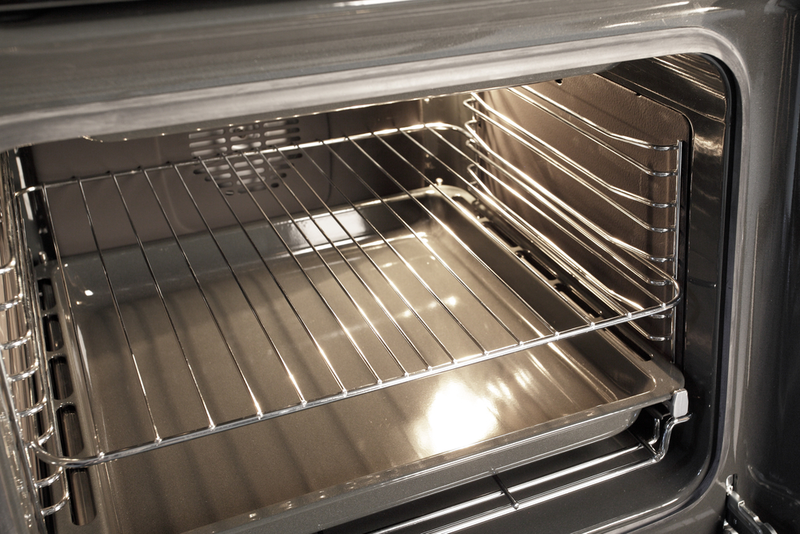 This adds to the life of the oven and is relatively scratch and maintenance free. Toughened see-through glass doors make it convenient to watch the progress of your cooking without having to frequently open the oven door while cooking. Interior light - some models come with an interior light that light up the oven cavity while in use. Function selection knob - most OTGs are simple to use with just two knobs - one for temperature selection and one for time selection, making it a lot easier getting used to and using your OTG. Some OTG's also have a function selection knob that enables you to select the cooking mode - bake, grill, roast or toast. Thermostat control - most brands offer a thermostat control. The temperature range is usually between 100 - 250°C making it a versatile cooking appliance. Auto-cut off timer - this feature is present in most OTGs. The oven automatically switches off after the completion of the cooking cycle without the fear of overcooking or burning food. Heating Elements - most OTGs have a sheath heater that requires preheating for 4 - 5 minutes to reach the desired temperature. However some brands have also introduced quartz heaters that are more efficient and generally do not require preheating. Self clean coated interiors - some OTGs have a self cleaning mechanism inside the cavity to prevent the built up of dirt and grime. This feature is however available only in top end mosels. Turbo / Convection Function - some OTG's are now equipped with a convection fan that circulates the hot air evenly throughout the oven cavity resulting in more uniform cooking and baking results. The fan also helps in cooling down the oven faster after use. Keep warm - keep warm function is a preset function that uses a lower temperature setting and allows you to keep food (either cooked in the oven or using any other appliance) warm / hot until it is ready to be served. Cooked food may be kept warm for a few hours without drying out or overcooking it. 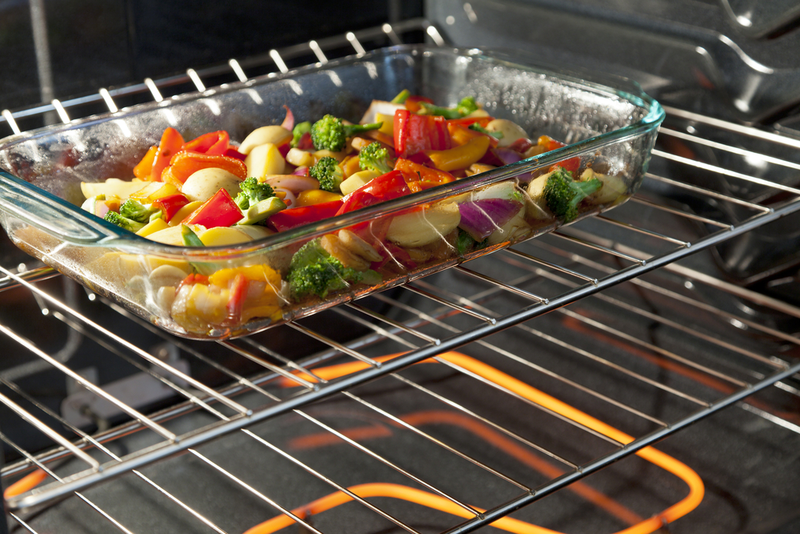 Simply cook food in advance for a party and place it inside the oven cavity until required. This feature is available in select models across brands. 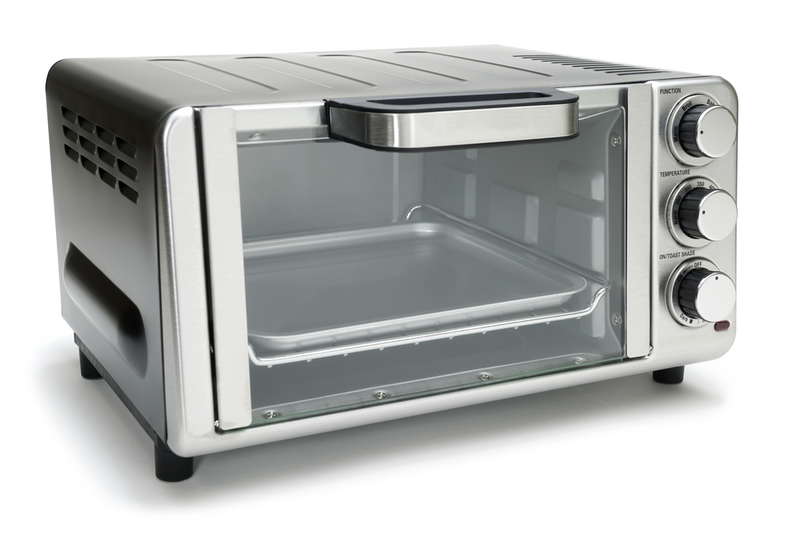 Rotisserie - some ovens also come with a rotisserie function. 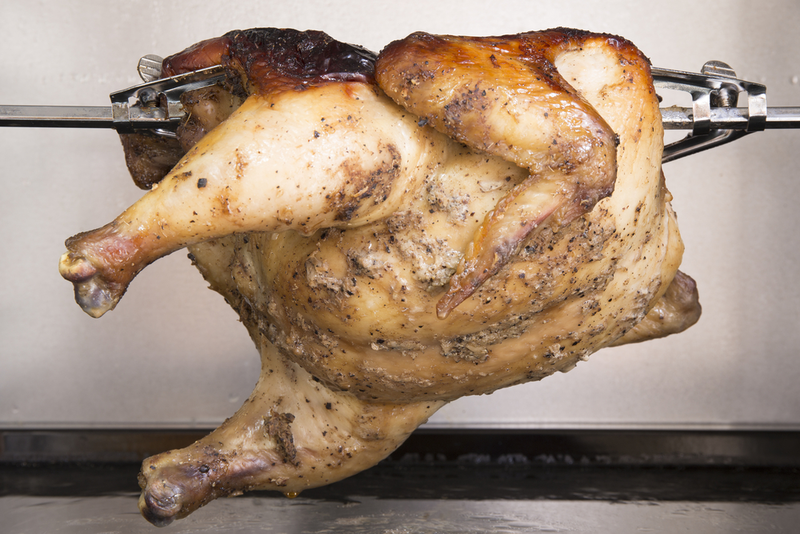 A rotisserie is a mechanized spit that rotates your food while roasting / grilling. This feature is particularly useful for barbecued meats and vegetables, tikkas, kababs etc as it eliminates the need for turning food over during cooking. Spice Holder - this is a feature unique to certain brands in India. It consists of a spice holder which can be filled with aromatic spices (like peppercorn, cloves, cinnamon etc) and herbs (like rosemary, thyme, sage etc) that give out a rich aroma on being heated. This aroma is then absorbed by the food placed inside the cavity during cooking resulting in more flavorful food especially roasts.